When you need help with a California Workers Compensation Injury, call the Napolin Law Firm for free. You will have a no charge consultation directly with Attorney Alexander Napolin, the owner of the firm. He will help you consider all the important factors at play so that you can make the best decision about your course of action. If that action is hiring Napolin Law Firm, you will not pay anything unless you recover on your claim. Many times, people who need help with a California workers compensation injury do not end up hiring an attorney at all. That is okay, because not every California workers compensation injury requires formal retention of a workers compensation lawyer. However, it is always safe to consult with an experienced and trusted attorney like Alexander Napolin to make sure you cover all of your bases. You will not be pressured to file a lawsuit. Instead, you will be given the solid advice you need to make the best decision for yourself. If you are being told by the insurance company that you are not injured or are being told that you are not allowed to take any time off of work to recover from your injury, you should usually be looking to hire an attorney as soon as possible. Other times, people with a California workers compensation injury are being given treatment by the insurance company, but are being told that their case is not worth anything in terms of money compensation and simply do not know how much their injury is worth. In these situations, most will need to hire an attorney to get all their benefits. You are encouraged to research your situation yourself to aid in your decision on what to do. However, nothing compares to advice of an experienced lawyer who can evaluate your unique situation and give you advice from personal experience with hundreds upon hundreds of other cases like yours. When you know the different possibilities of how your case could turn out, that helps you weigh risks and make the best decision. It also significantly lowers your stress levels, allowing you to focus on medical recovery and getting back on your feet following an injury. Attorney Alexander Napolin is eager and willing to learn about your unique accident injury case and give you the guidance you need. Should you decide to hire him, he will be there for you every step of the way to give you the advice you need and make sure your case is litigated properly in your best interest. Do not hesitate to call an attorney to learn your rights. The insurance company have groups of attorneys that work for them on a full time basis. You need to have legal help on your side too! Call Napolin Law Firm at 909-325-6032 or visit us at NapolinLaw.com to get the legal help you need and deserve! 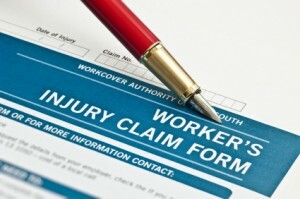 Get Help With California Workers Compensation Injury attorney Today!